Sharing the agony of Dr NK Kalia, father of Kargil War hero Capt Saurabh Kalia, the Supreme Court today issued notice to the government seeking its response to his plea for taking Pakistan to task at the International Court of Justice (ICJ) for the inhuman torture of his son for 22 days before being shot dead in gross violation of the Geneva Convention on Prisoners of War. “We share your agony. Maybe, more than what you have,” a Bench comprising Justices RM Lodha and Anil R Dave told Kalia’s advocate Arvind Kumar Sharma. Acknowledging that the issue had international ramifications, the Bench, however, raised doubts over its powers to direct the government to take the matter to the ICJ. “We have to see the extent of the court’s power in such matters. Being the highest court, we have to pass orders within the confines of the Constitution. We don’t want to exceed our powers. We can’t go beyond what the law permits,” the apex court remarked. Counsel Sharma contended that Kalia had come to the SC as a last resort to get justice as his pleadings with the government fell on deaf ears. 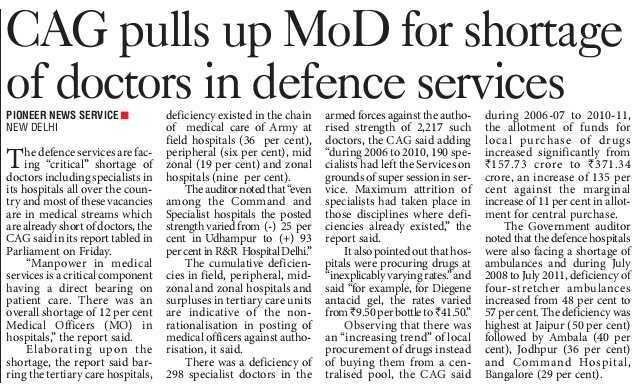 The Defence Ministry said the matter was pending with the Prime Minister’s Office (PMO), which in turn averred that the External Affairs Ministry was taking action. While India was shying away from accepting the plea, Pakistan had gone to the ICJ over an Indian plane just brushing past one its planes in 1990, he contended. Before issuing any directive to the government, the SC wanted to be “absolutely clear” that it had the jurisdiction by getting past the hurdles of doubts on this score, the Bench clarified. 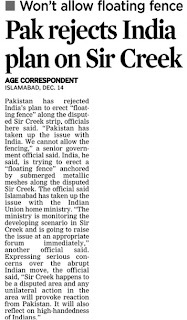 Further, if the government was willing to take the issue to the ICJ, then there was no need for SC’s interference, it reasoned. Counsel Sharma said the apex court should at least ask the government as to what steps it had taken during the past 13 years. In his PIL, Kalia had also sought justice for six fellow officers of his son who also had been meted out the same treatment. Born in June 1976 at Amritsar, Saurabh had joined the Army in January 1999 after his schooling at Palampur. He was captured alive by the Pakistan Army on May 15, 1999, and his body was handed over to India on June 9. 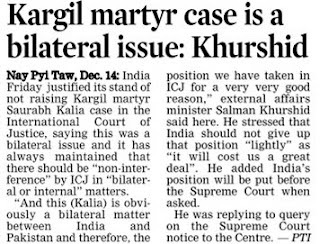 The Supreme Court has asked the government to explain whether it will take the case of Kargil martyr Saurabh Kalia to the International Court of Justice (ICJ) at The Hague. 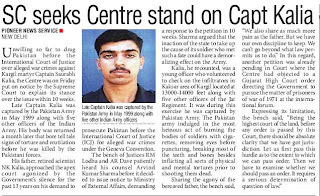 Captain Kalia, 23, and other soldiers were captured by Pakistan and tortured brutally during the war that lasted from May to July in 1999. The mutilated bodies were handed back to India after more than three weeks of their capture. Captain Kalia's case was raised by India in talks with visiting Pakistan Interior Minister Rehman Malik today. 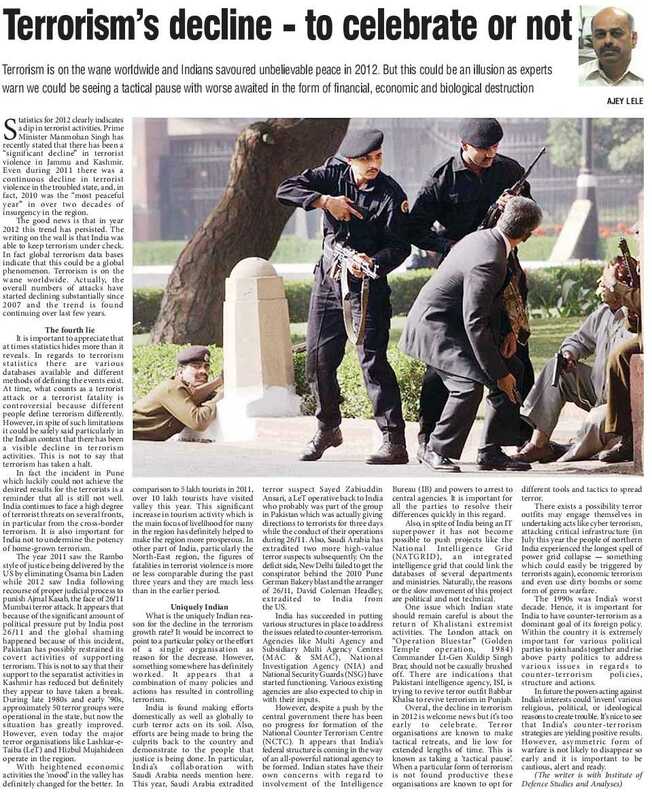 New Delhi demanded action against those responsible for torturing the officer to death. Upon his arrival in Delhi, Mr Malik had said, "I have not examined this case. I will be very happy to see the father of the soldier and listen to what exactly happened. When the war is going on, on the border we don't exactly know what happened - whether he was killed by a Pakistani bullet of it was the weather." Captain Kalia of the 4 Jat Regiment was the first Indian Army officer to observe and report large-scale intrusion by the Pakistani Army into the Indian side of the Line of Control in the Kargil sector of Jammu and Kashmir. 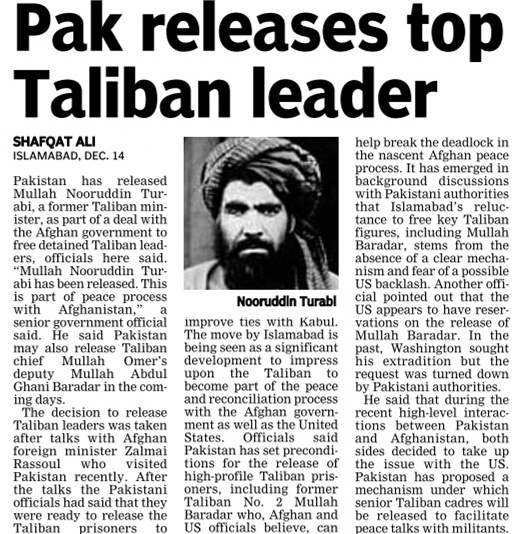 He and five other soldiers were captured on May 15, 1999 and were in captivity for more than 20 days. When their bodies were handed over to India, the autopsy reports revealed extreme torture including cigarette burns, ear drums pierced with hot iron rods and amputated limbs. The young soldier's father, NK Kalia, says that though Pakistan's handling of his son violates the international convention on the treatment of prisoners of war, the Indian government has been apathetic in not raising the case with Pakistan. 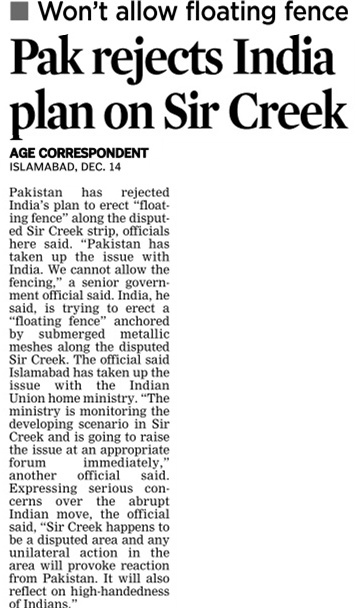 He wants the Indian government to raise the matter with the ICJ. The judges hearing his petition observed today, "We fully share your agony. But what is the role of the court? 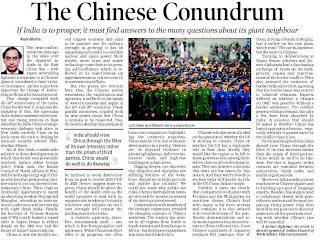 Can we direct India to take up the case with International Court of Justice?" They added, "This is an important issue. If the government wants, it can take up the issue with the International Court of Justice and there's no need for our interference." The court has given the government 10 weeks to reply to Mr Kalia's petition. 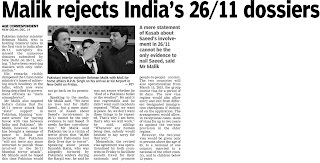 Mr Kalia's father said that he had first approached the Indian Defence Ministry for help, which said his son's case had been referred to the Prime Minister's Office, which in turn said the matter was being studied by the External Affairs Ministry. The government's seeming reluctance to raise the matter with the ICJ could be rooted in the fact that India had sought changes in the arbitration rules of the court, insisting that it would only hear a case if all countries or parties involved in a dispute agreed to approach it. Just after the Kargil War, India had shot down a Pakistani aircraft in the Bhuj-Rajasthan sector. Then, Pakistan had wanted to raise the issue before the ICJ, but India blocked the move pleading that both parties did not agree on moving the court. 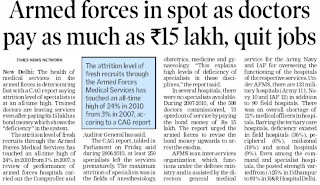 Govt waiting for HC to act on structure? 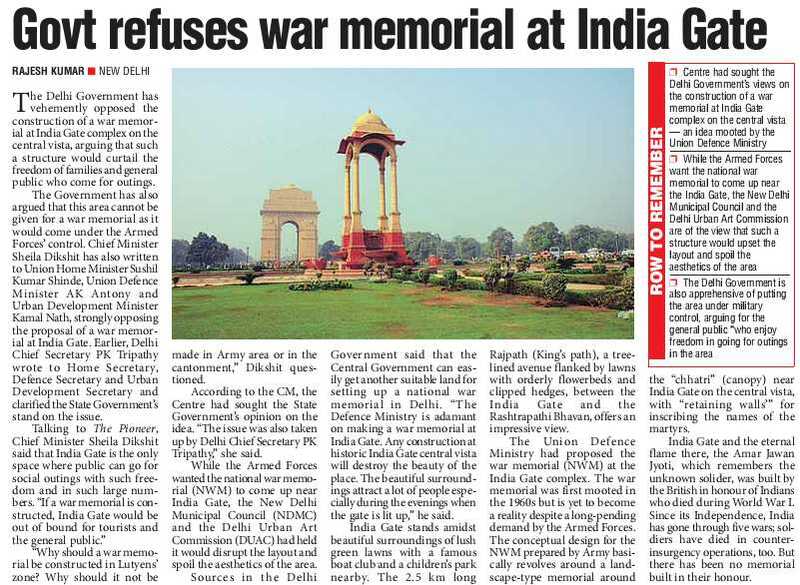 The December 12 deadline for the Shiv Sena to remove the makeshift memorial at Shivaji Park expired on Wednesday, with an uneasy sharing of space between the Army preparing for a parade, and the Sainiks. While both the Brihanmumbai Municipal Corporation (BMC) and the government may be reluctant to act, preferring to perhaps wait for the Bombay High Court to resolve the issue, the government is however firm that no construction will be allowed at Shivaji Park. Sources say the High Court has already admitted a case on the matter, which will again come up for hearing on December 20. 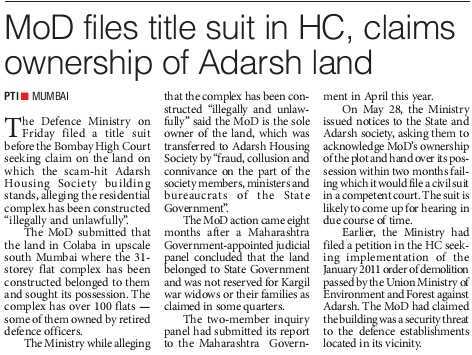 The BMC and the Sena both filed caveats in court so that their side is heard before any judgment is passed. The government is likely to inform the HC that they issued notices to senior Sena leaders to vacate the ground and also attempted to take action on its own on Monday night, which created a law and order situation. The BMC bid to clear the structure on Monday was scuttled by the Sainiks who, tipped off by sympathizers within the civic body, had vandalized BMC vehicles. 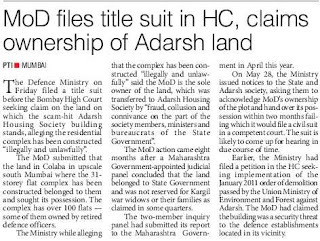 "The BMC will give all these details before the court and will urge the court to give directives," said a BMC official. On Wednesday, as soon as Army jawans trooped in for a rehearsal in the morning, Sainiks arrived in huge numbers fervently waving their saffron flags. Refusing to heed the civic body's deadline of vacating the ground, the Sainiks continued to stay put at the site where Bal Thackeray was cremated on November 18. "It's the Dahisar shakha's turn today. We just want to ensure the platform is protected," said Bhageshwar Chavan, a Sena worker from Dahisar. Taking a break from their aggressive posturing over the last few days, Sainiks took to singing bhajans and kirtans on Wednesday. Army officials at the park told TOI that they were marking out area on the ground for stalls and parade rehearsals will start from Thursday. 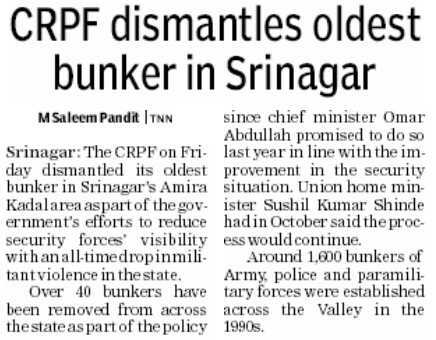 "We will have stalls to display artillery and weapons at the function, similar to a Republic Day parade," said an army official. 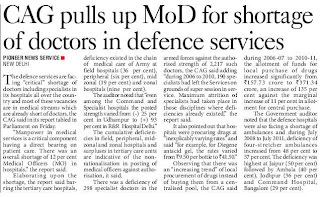 Defence officials said they had the HC's permission to hold the Indian Army Festival. "We will utilise a major portion of the Shivaji Park ground, without touching the cricket pitches. On Thursday, the stalls will be set up for the dress rehearsal on December 14. 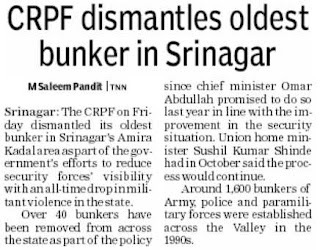 Tanks and artillery will reach the ground on Wednesday night," said defence chief PRO, N Vispute. A BMC notice put up on the ground, alerting people to stay away from December 12-17, has deterred several budding cricketers and morning walkers from using the ground. Sena insiders were optimistic that the government wouldn't take any action till December 18, and by then party CEO Uddhav Thackeray would probably announce removal of the temporary structure in exchange for setting up a small plaque near the Shivaji statue. "The BMC is unlikely to do anything on its own, especially with the ground being shared by the Army for Vijay Diwas preparations," said a Sena source. he Supreme Court on Friday issued notice to the centre on a plea to refer to the International Court of Justice (ICJ) the torture of Indian Army officer Capt. Saurabh Kalia by the Pakistani Army after he was captured during the 1999 Kargil war. An apex court bench of Justice R.M. 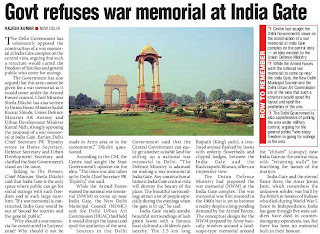 Lodha and Justice Anil R. Dave issued notice after counsel Arvind Kumar Sharma told the court that the victim's family approached the defence ministry seeking the matter be referred to ICJ as Kalia's treatment after being captured violated the international convention on the treatment of prisoners of war. The petition has been moved by Capt. Saurabh Kalia's father N.K. Kalia. The court was initially reluctant to issue notice on the grounds that the matter involved two countries and the Indian government should take up the issue with the ICJ. At this, the court was told that Capt. 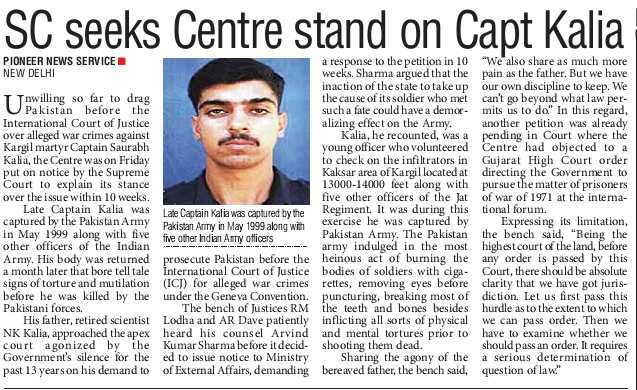 Saurabh Kalia's family has made every effort to seek justice. 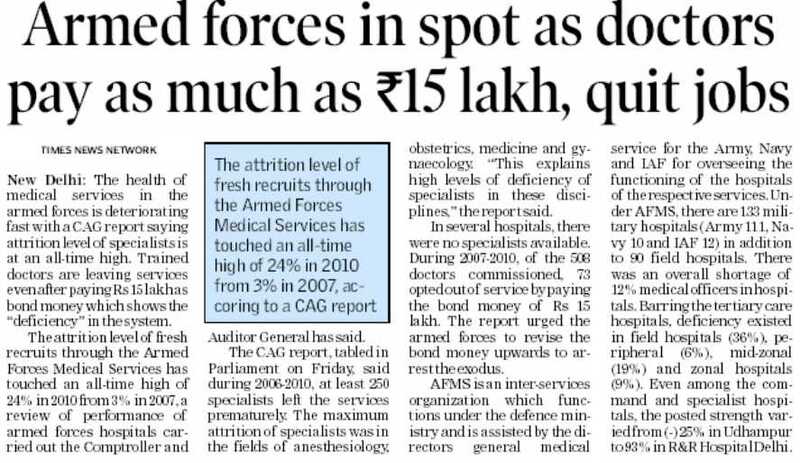 They had requested the defence ministry, which in turn said that matter has been referred to the Prime Minister's Office, which in turn said the matter was under the consideration of the external affairs ministry. The court gave centre 10 days time to respond to the petition. Capt. Kalia of the 4 Jat Regiment was the first Indian Army officer to observe and report large-scale intrusion by the Pakistani Army into the Indian side of the Line of Control in the Kargil sector of Jammu and Kashmir. Kalia and five soldiers were captured on May 15, 1999 and were in captivity for over 22 days. The bodies were handed over to the Indian authorities on June 9, 1999. The autopsy report of the Captain and the five soldiers revealed extreme torture including cigarette burns, pierced ear drums with hot rods and chopped off limbs and private organs before finally shooting them dead. India and Pakistan fought a brief but butter war in the icy heights of Kargil in May-July 1999. India took back all the positions that had been occupied by the Pakistani Army. India lost 527 soldiers and Pakistan upwards of 700 men. Personnel from the Indian Army's Strategic Forces Command (SFC) have successfully test launched the Agni-I domestically developed nuclear-capable missile from Wheeler Island off the coast of Odisha, India, as part of routine user trials. Launched from a road mobile launcher system, the missile flew for ten minutes and then followed a prescribed trajectory to reach the pre-designated target point in the Bay of Bengal. Advanced radar and telemetry stations located along the coastline, with two naval ships stationed near the target point, tracked the missile's trajectory during terminal phase of the flight. Monitored by senior scientists from India's Defence Research and Development Organisation (DRDO), the launch successfully validated and demonstrated the efficacy of the missile, which was randomly drawn from the production lot for the manoeuvre. Developed by the DRDO under the integrated guided missile development programme (IGMDP), the Agni-I is a 15m-long medium to intercontinental range ballistic missile (IRBM), capable of carrying both conventional and nuclear payloads at a speed of 2.5km/sec. Having a payload capacity of up to 1t, the single-stage, road and rail mobile, Agni-1 has a range of 700km and also features an advanced high-accuracy navigation system. Designed to bridge the gap between the short-range Prithvi and medium-range Agni II missiles, the weapon has already been inducted by the Indian Army, and also underwent test flight at the same location in July. New Delhi, Dec 14 (ANI): Former Indian army official, Lieutenant General (Retd.) PN Hoon, on Friday appreciated the government's decision to invite Pakistan Interior Minister Rehman Malik to India. 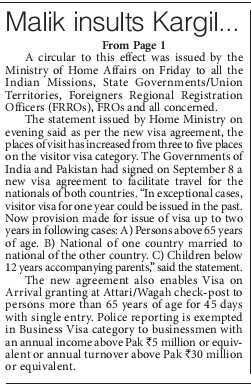 "I think it's a very good thing that we have started a process whereby we can try and meet each other and open up our borders and I think that the things they have agreed to or are about to agree, anyone who is above 65 years of age, he can on arrival take a visa instead of three states, he can visit five states, places. It is very good thing that we have started," he said. 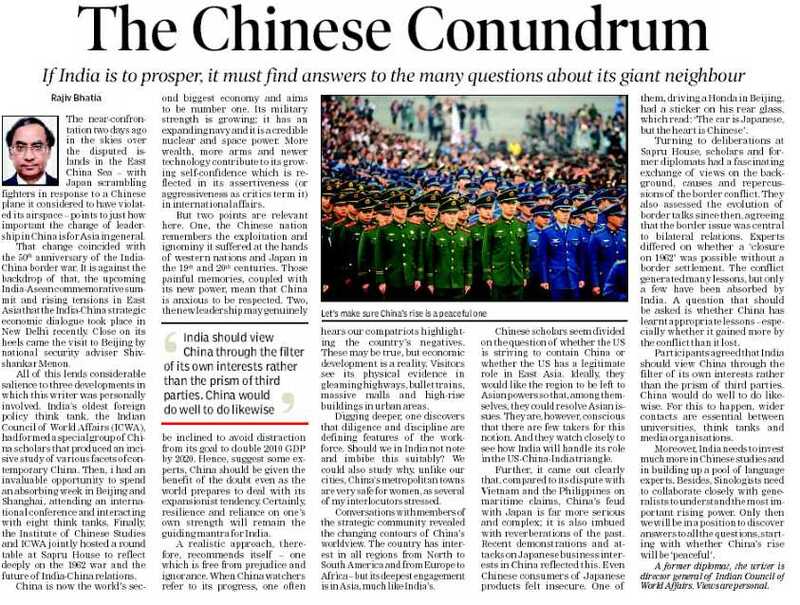 Meanwhile, Bharat Verma, the editor of Indian Defence Review, said such meeting between the two sides would not improve the relations, as Pakistan has adopted a different authoritarian Islamic fundamentalist trend, which is against India's policy. "First thing is, Rehman Malik carries no authority coming from Pakistan because it is the Pakistan army and the ISI that control. He is just a front. 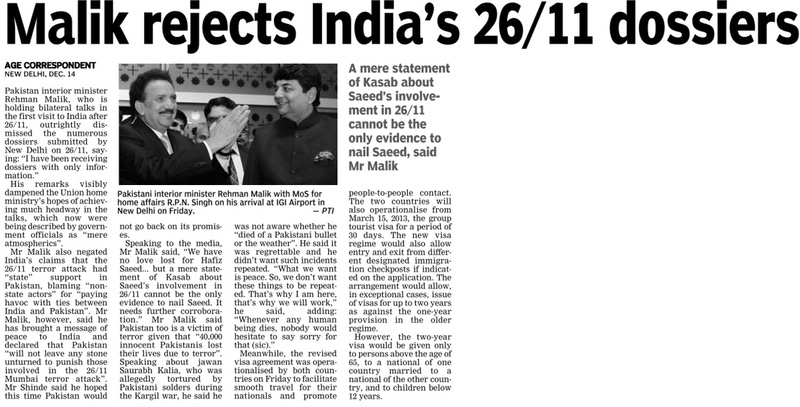 Second, Rehman Malik has, if you go back into his history, he has been anti-India in a very big way. Third, to invite him at this stage when you are paying homage to the martyrs of 13th December attack on Parliament and to have Rehman Malik here is itself very derogatory, degrading and against the self-respect of the country," said Verma. "But importantly, Rehman Malik brings with him nothing that can resolve any issue because 65 years, people-to-people contacts have been going on. No improvements in relationships are possible because Pakistan has taken a totally a different authoritarian Islamic fundamentalist trends, which are contradictory to India's policy," he added. Rehman Malik will be arriving on a three-day visit to India beginning today on the invitation of Union Home Minister Sushil Kumar Shinde. Minister of State for Home R.P.N. Singh will be receiving the Pakistan delegation at the airport. 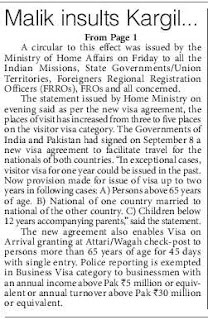 The official engagements will commence on December 14, 2012 afternoon itself which will include Launch of Revised Visa Agreement. The agenda also includes counter terrorism border management, fake Indian Currency Notes and cooperation among security and investigation agencies. The Indian delegation led by Shinde will include R.P.N. Singh, senior officials from Ministry of Home Affairs, Ministry of External Affairs and security agencies.